Looking for Pool Maintenance in Crows Landing, California? Crows Landing residents want reliable cleaners and repair technicians for pool maintenance in Crows Landing, California. EZ Pool Service provides the service you need on swimming pools of any size or model, whether for seasonal visits or day-to-day upkeep. Put our expertise to work for you this swim season. Pool maintenance includes a wide range of services, and EZ Pool Service has the trained staff to handle them all. From skimming to vacuuming, chemical adjustment, filter adjustment, and coping tile cleaning, EZ Pool Service has serviced pools across the Crows Landing region. Our fully trained employees have the skills, knowledge and equipment to get the job done, and countless homeowners and business owners in the Crows Landing region trust our staff to take good care of their pools. Structured pool maintenance provides the cleanest, safest atmosphere possible for a swimming pool. And EZ Pool Service offers Crows Landing customers a wide selection of pool maintenance programs designed to keep your pool in peak condition. Ask about our written plans, tailor-made for your property. We have worked hard since 2011, ensuring that each Crows Landing swimming pool we maintain remains clean and running efficiently. EZ Pool Service provides affordable pool maintenance in Crows Landing, California, with regular and single visit rates suited for any budget. Let us take care of your swimming pool, ensuring a summer full of fun right here in Crows Landing. Quality pool care helps to maintain healthy conditions and extend the life of your investment, and EZ Pool Service offers expert service and advice for less than you would expect. Reliable, knowledge and affordable, our staff provides premium pool maintenance in Crows Landing, California. Written maintenance plans help local pool owners to rest easy throughout the swim season, knowing their pool is being well taken care of. 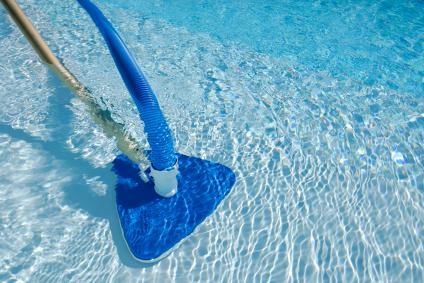 Call EZ Pool Service today at (209) 210-2489 to arrange for a no-obligation quote on your swimming pool maintenance.